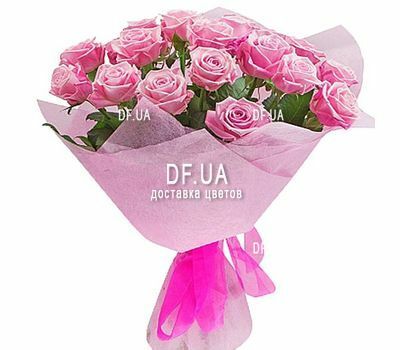 Bouquet of 23 pink roses - an ocean of tenderness and beauty. Lush buds, thin stems, freshness of flowers and a delicate shade - this is impossible not to admire. Feelings of delight and trepidation fill those who are given such flowers. 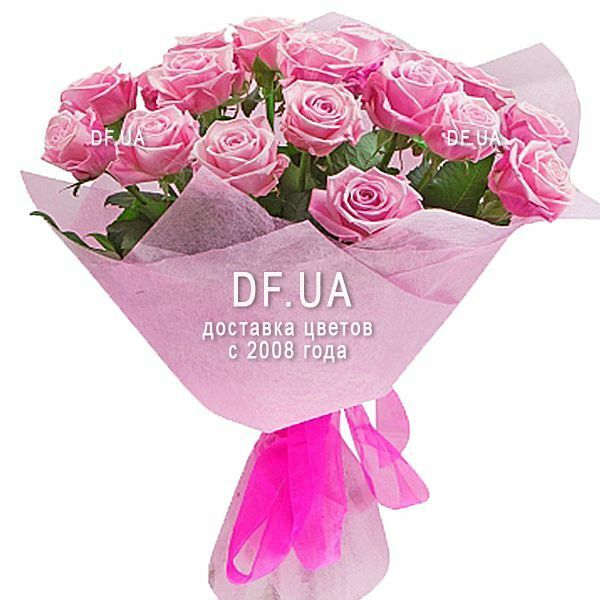 A bouquet of 23 pink roses is chosen, expressing gratitude, congratulating on an anniversary or even on a professional holiday. He will be happy with his mother, sister, colleague and even the strict boss. Flowers are wrapped in paper and decorated with a ribbon. Everyone knows that the best gift is the one that is presented just like that, for no reason. 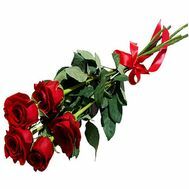 A bouquet of 23 pink roses, unexpectedly handed by our courier, to your loved one, will bring a lot of positive and joy. Use our delivery service. Чудесный подарок получился для мамы благодаря вам!!! Мама очень нахваливала букет, говорит, что цветочки подобраны один в один. Спасибо, что помогаете подарить чуточку радости самому близкому человеку! Это очень важно для меня, ведь приехать к маме не могу, так часто как хотелось бы, зато выразить свою любовь и заботу теперь могу через вашу компанию. Спасибо! Цветы как на картинке, все просто класс! Доставляют быстро, звонят перед доставкой и присылают отчет после вручения. Доволен!